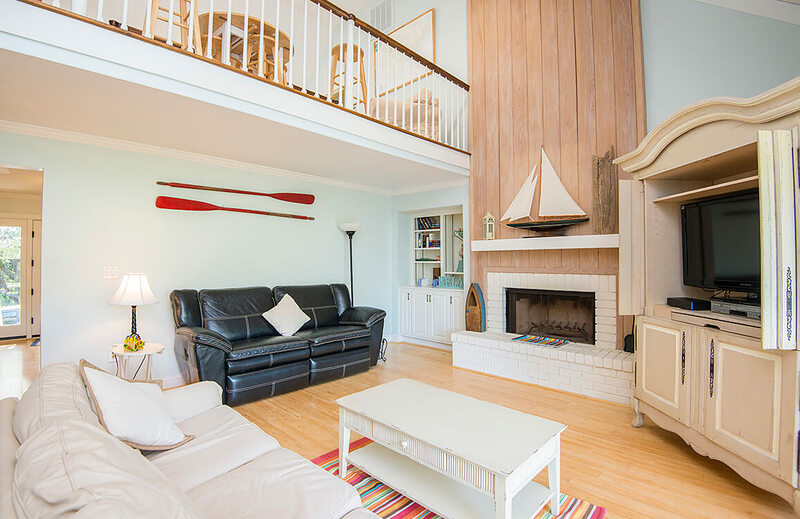 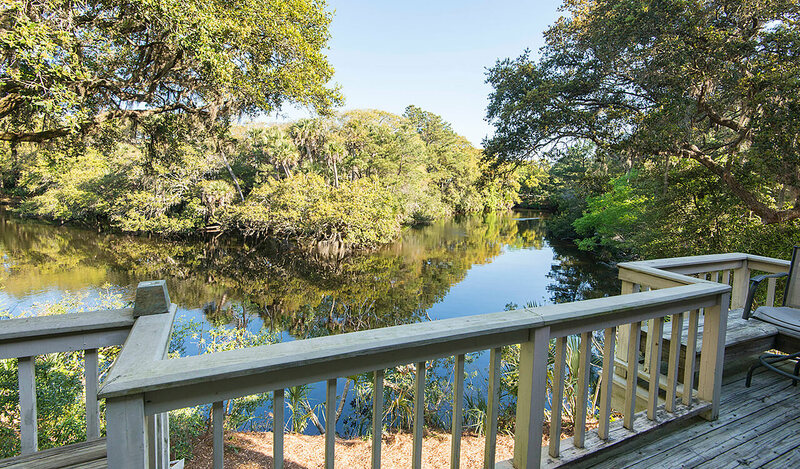 Located across the street from Kiawah’s beach access—and just 200 yards to the sand—this Lowcountry home enjoys spectacular 180-degree lagoon views from nearly every room. 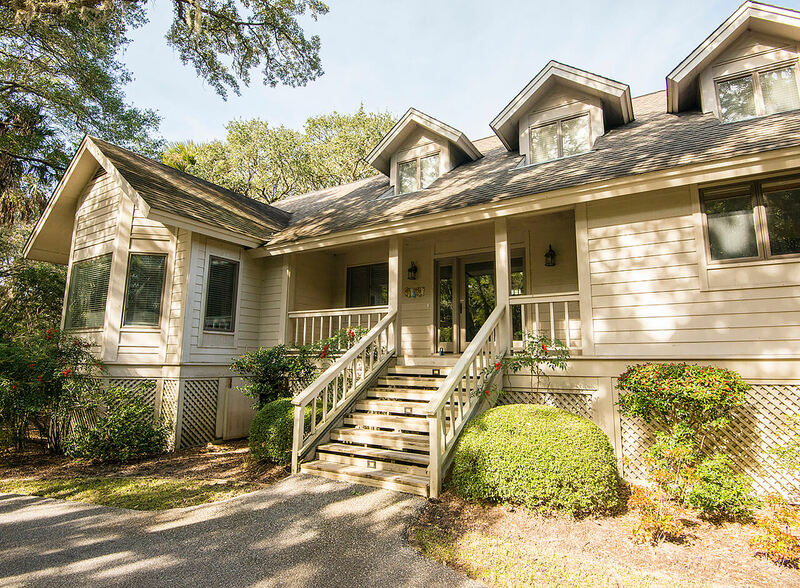 Residents here enjoy a central Island location that is close to all of Kiawah’s world-class amenities, including championship golf, world-class tennis, five-star dining, and boutique shopping. 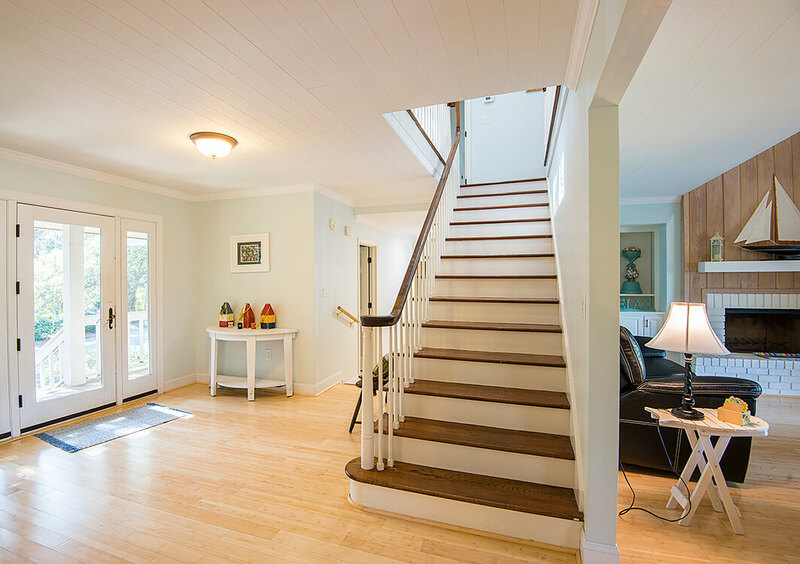 Situated on a quiet street, the inviting front porch and glass entry doors open into a bright welcoming foyer with wood flooring, beadboard ceilings, and an open stairway. 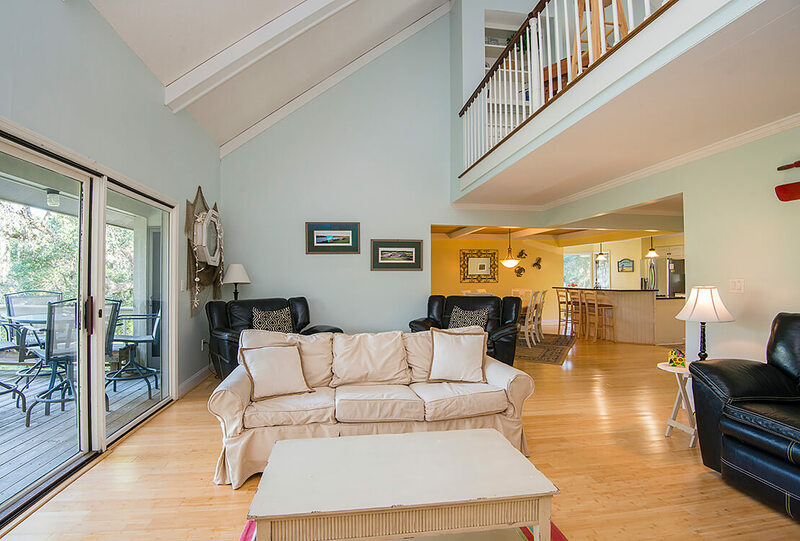 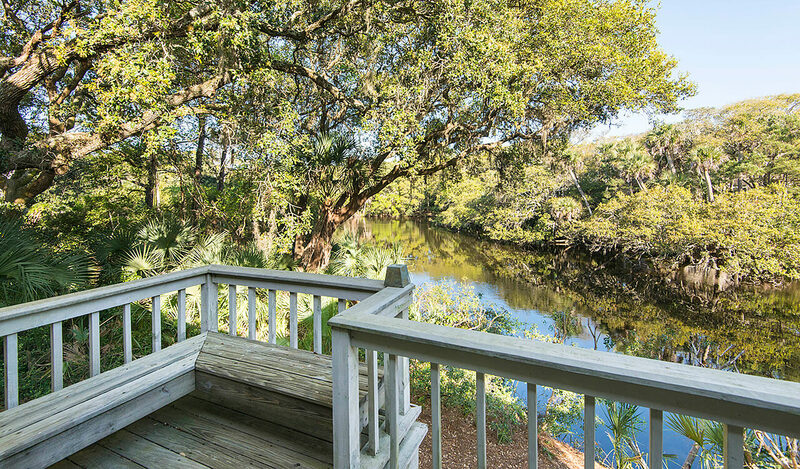 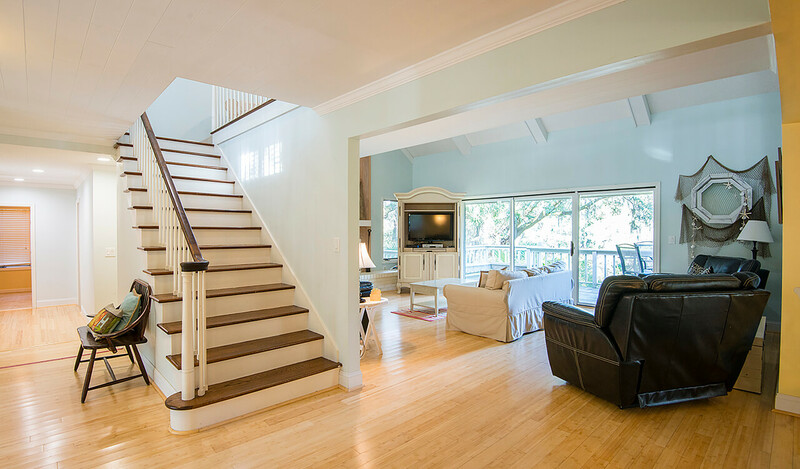 The home’s airy floor plan features a large great room with a beamed vaulted ceiling, brick fireplace, custom built-ins, and a wall of oversized sliding glass doors that open to an extensive back deck with covered porch area, built-in bench seating, multiple sitting venues, and long lagoon views. 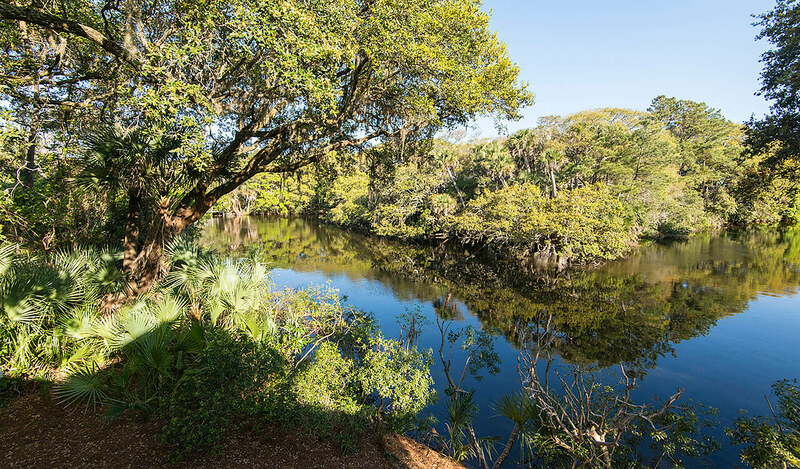 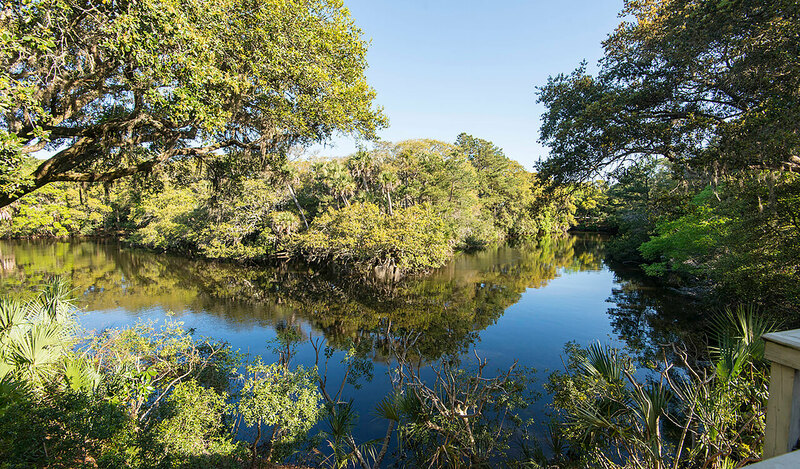 From here, you’ll be fascinated by Kiawah’s unspoiled landscapes and natural wildlife. 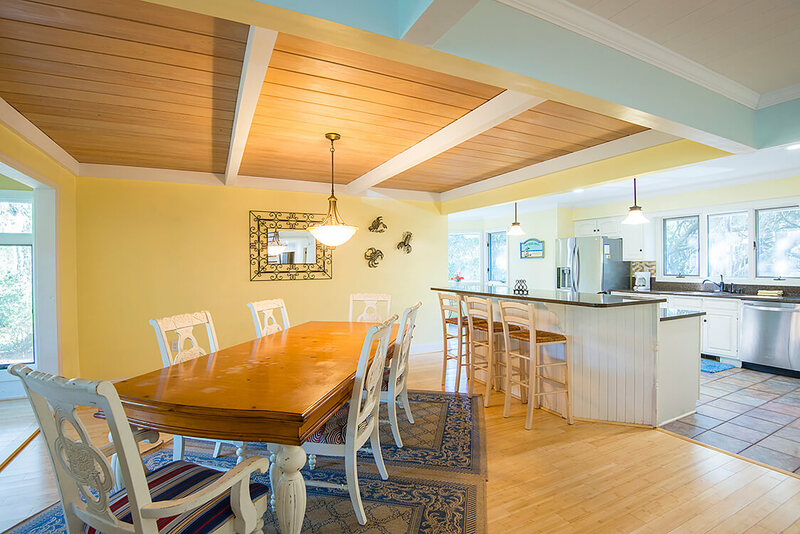 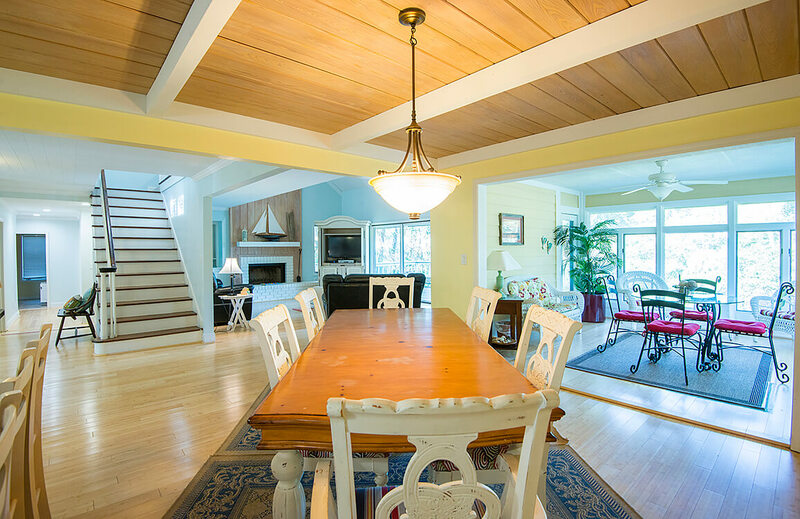 An attendant dining area with beamed and beadboard ceiling seats six comfortably. 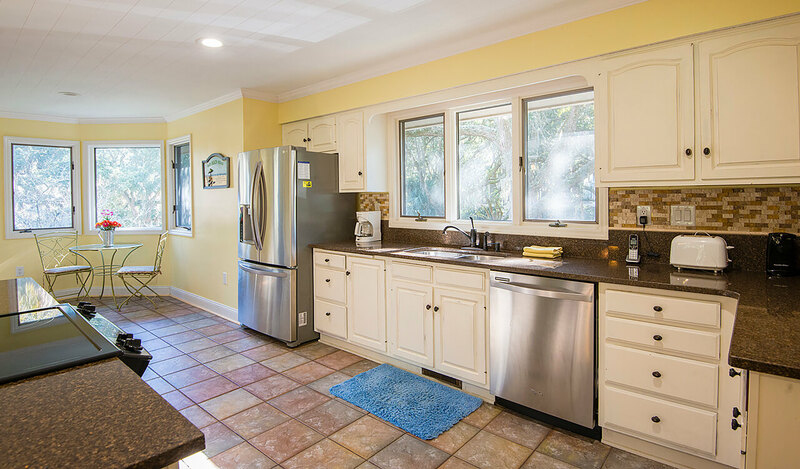 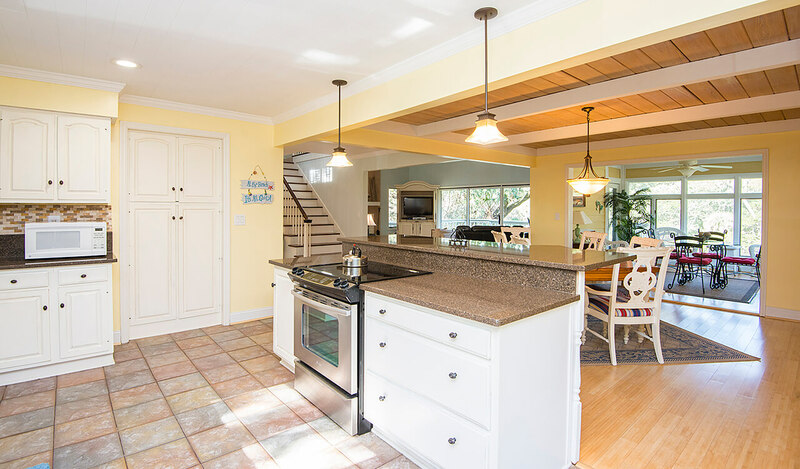 Bright and spacious, the fully functional kitchen features ceramic tile flooring, bright cabinetry, crown molding, granite perimeter counters, stone backsplash, and granite-topped island with stainless steel range and elevated bar seating. 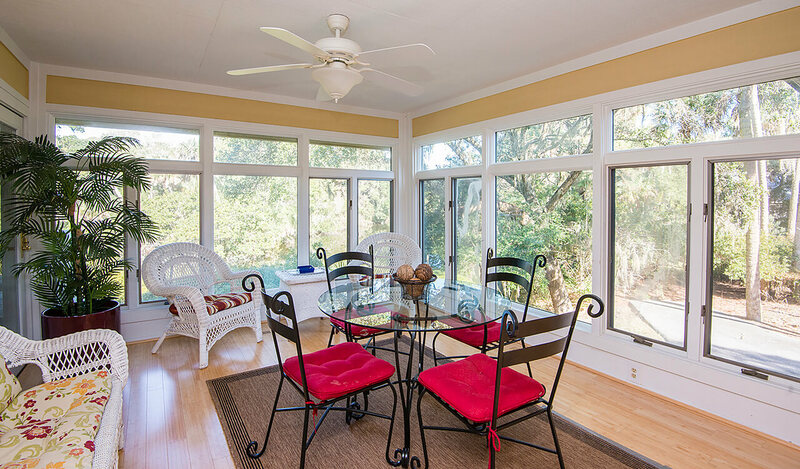 A small breakfast nook embraced by picture windows offers additional table space. 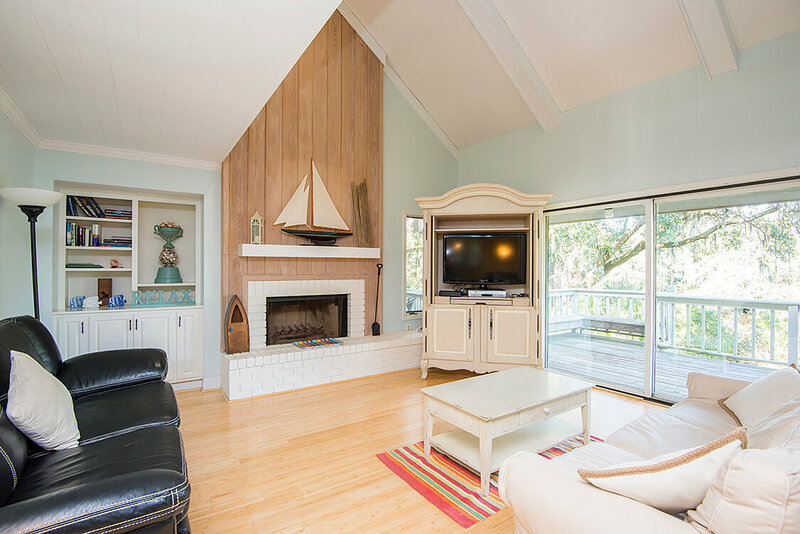 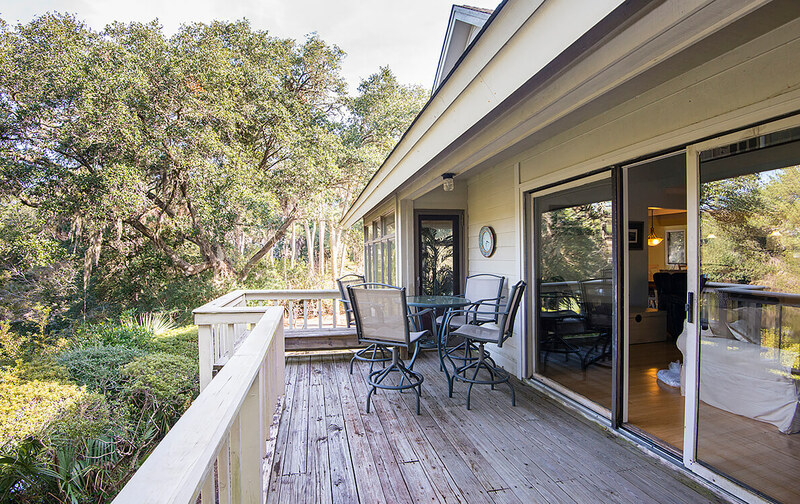 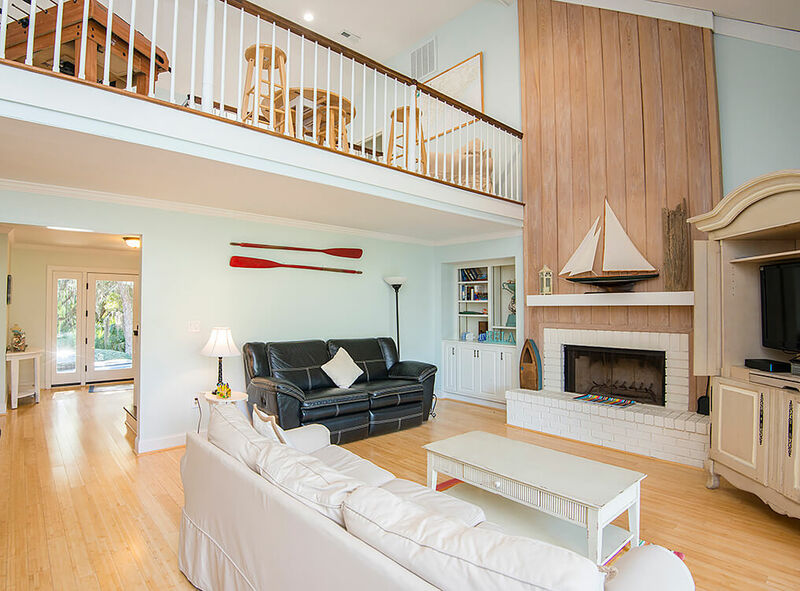 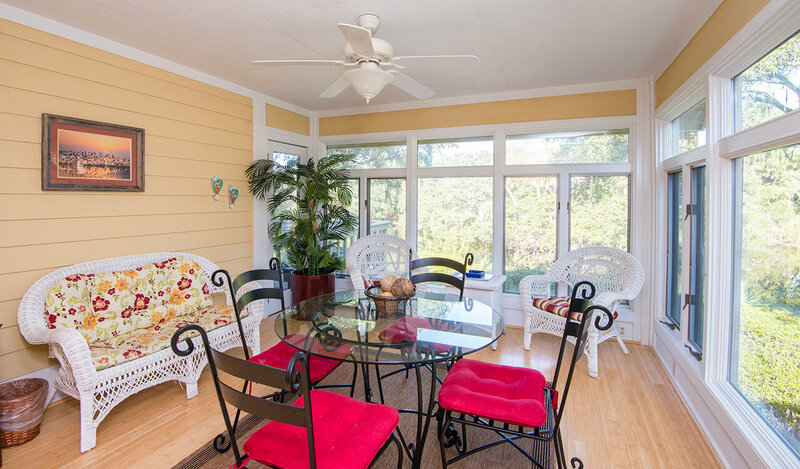 The warm sunroom with floor-to-ceiling windows offers serene lagoon views and access out to the deck offers a wonderful place to enjoy coffee and enjoy Kiawah’s landscapes. 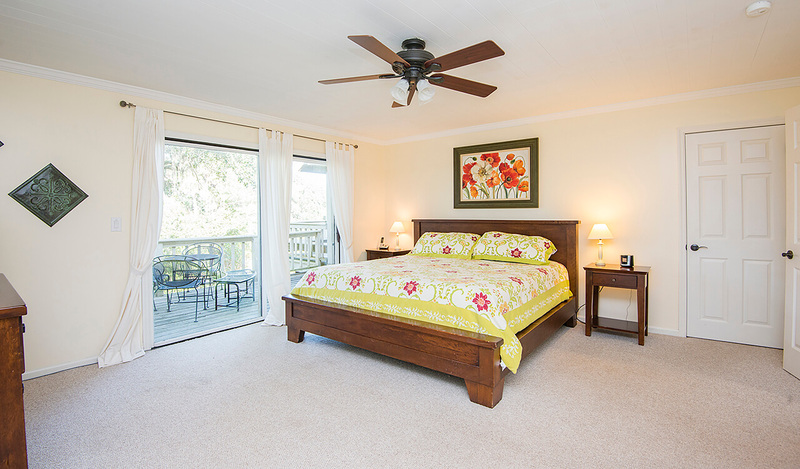 Two generously sized bedrooms—one with bay windows and sliding glass doors that open to the deck—complete the first level. 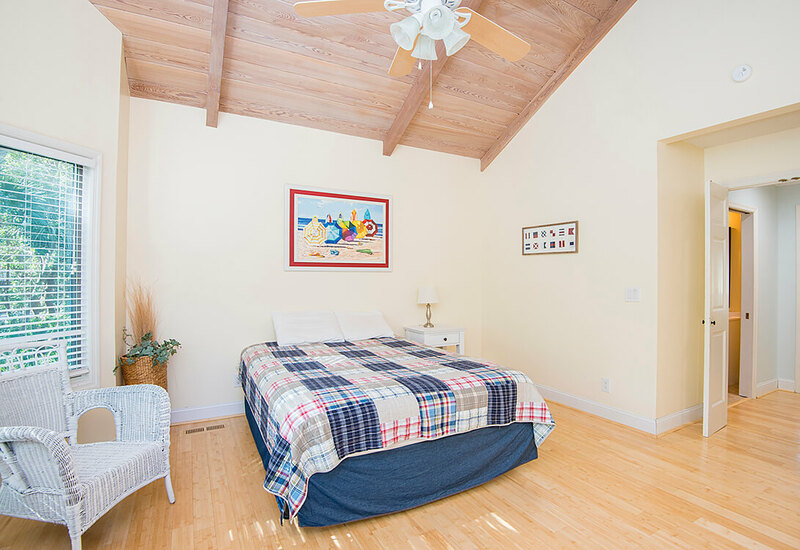 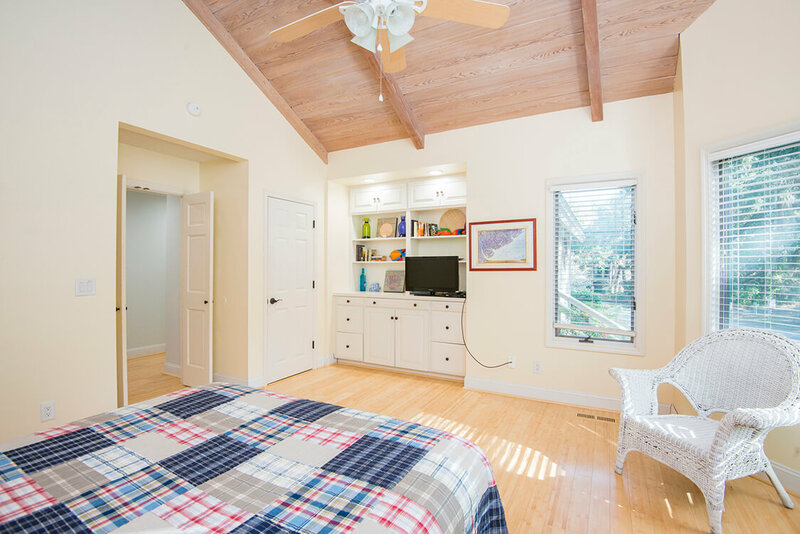 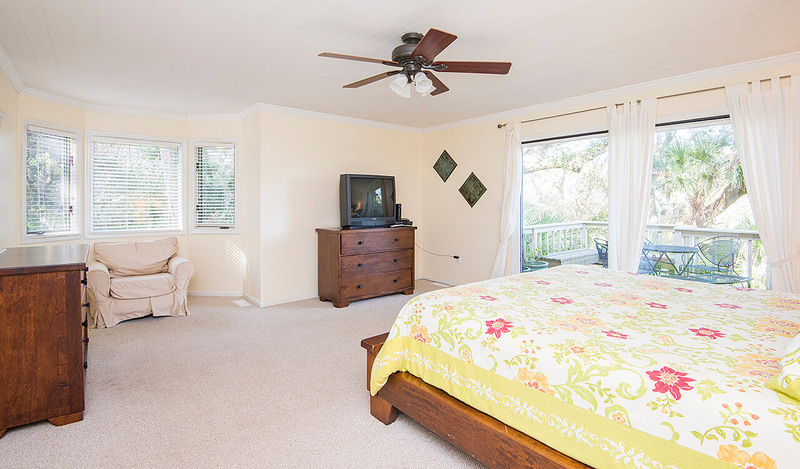 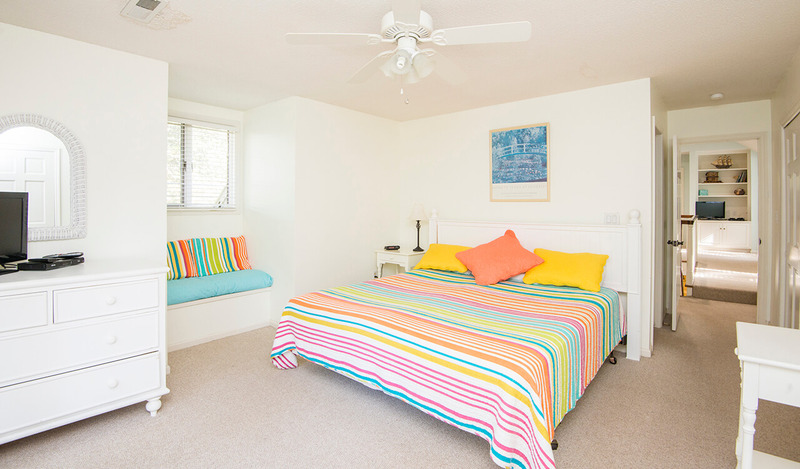 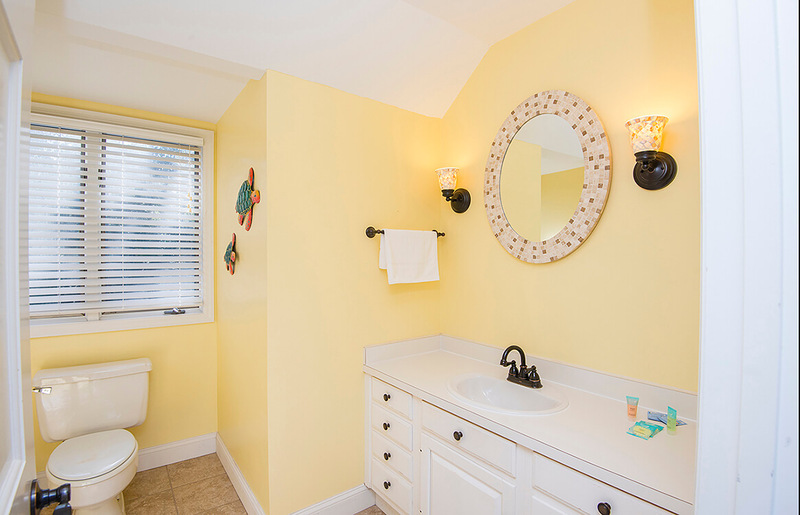 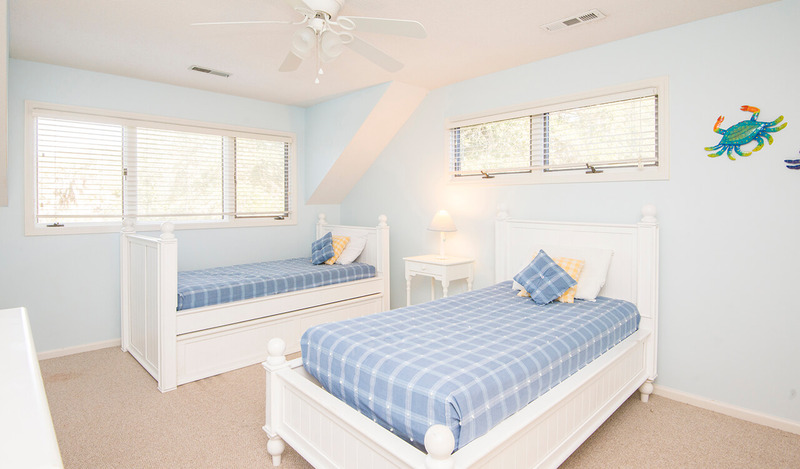 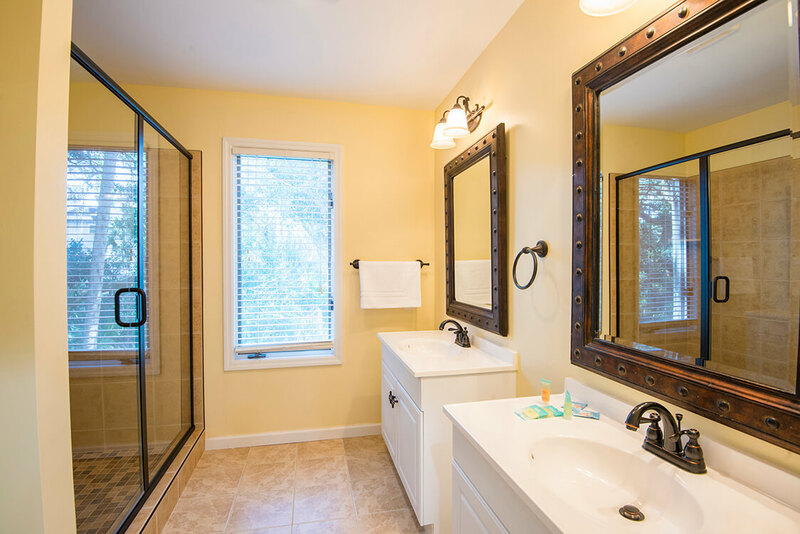 Upstairs, the master bedroom features wood flooring, a vaulted wood-clad ceiling, custom built-ins, picture windows, and an upgraded private bathroom. 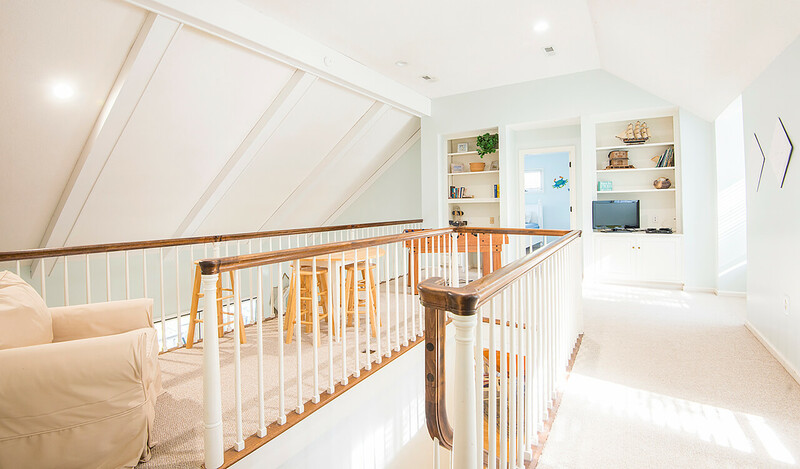 The second floor also features an additional bedroom with built-in window seats and private bathroom, as well as an open loft area with built-in shelving and space to enjoy board games and movies. 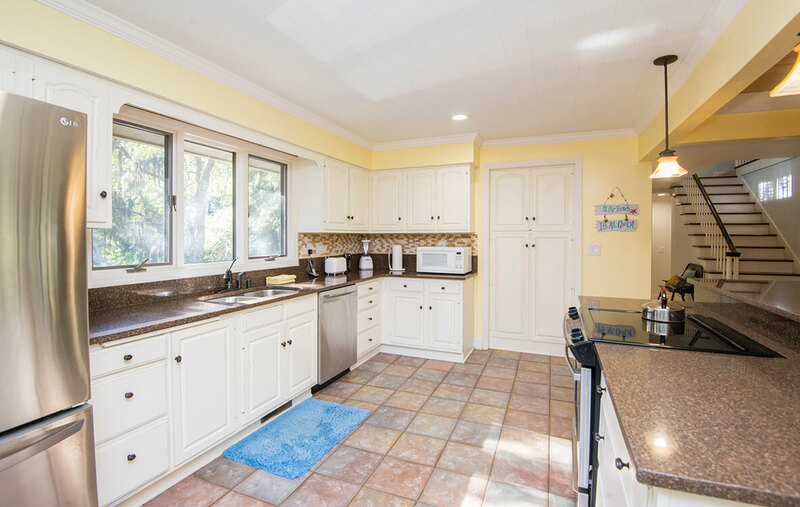 Offered furnished, additional features of this home include a first floor laundry/mud room, garage, driveway with two street access points, and new interior paint throughout.